Apta Burnt Finish Rustic Barrel Planter 37cm constructed from sustainably sourced superior quality Acacia wood. 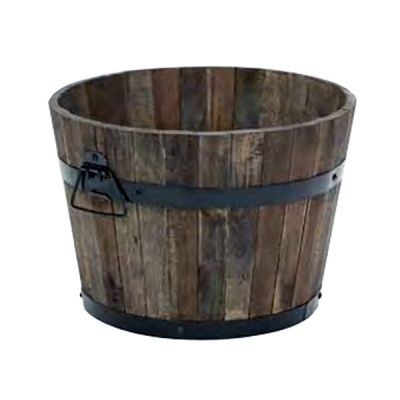 Strong garden pre-treated wood planter with pre-drilled central drainage hole. Banded in black rustic metal with side carrying handles for ease of lifting.